Olbrich's Growing Gifts shop specializes in unique garden-themed items for the whole family, including many locally made and sustainable products. Shopping at Olbrich's Growing Gifts shop is a great way to support a local business while helping to keep Madison's public garden available for all to enjoy. 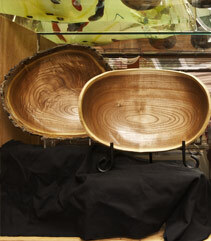 All proceeds from Growing Gifts shop sales directly benefit Olbrich Botanical Gardens. 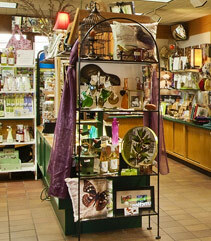 Olbrich's Growing Gifts is also proud to be a member of Dane Buy Local. New Member Discount - New or renewing members who sign up at the $100 or higher membership levels (Garden Contributor or above) receive 20% savings in the Gift Shop daily all year! All member levels still receive 10% off daily with additional 20% off sale dates throughout the year, but consider upgrading or joining at the $100 level and above to take advantage of this great new member benefit!